Honey Cornbread Muffins are slightly sweet, with a moist cake-like crumb from buttermilk and butter. 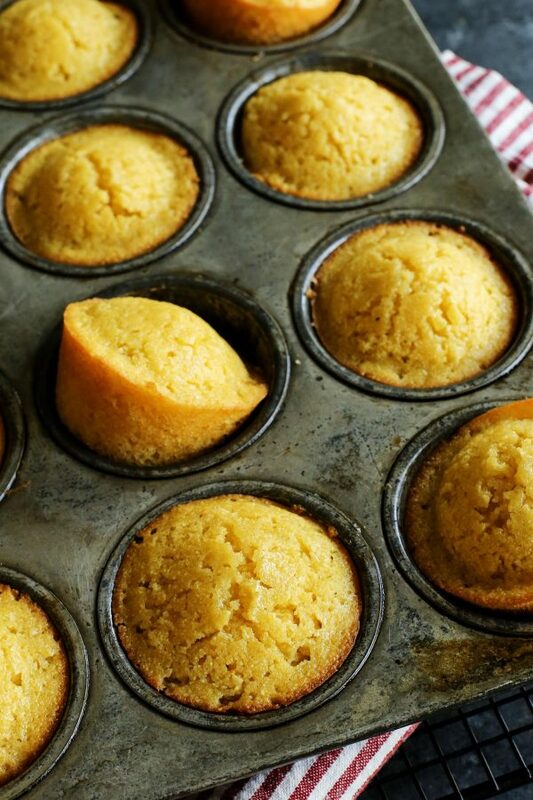 This is our family’s favorite cornbread muffin recipe! Cornbread was not a way of life for our family when I was growing up. The times when it would occasionally show up at a gathering, I would always try it. But I’d never return for seconds. Then, as an adult, I discovered moist, sweet cornbread at a barbecue restaurant. I was in love. For those who know me well, it’s no secret how much I adore tender, fall-off-the-bone barbecue ribs. And the ribs at that restaurant were excellent. But I found myself wanting to return for the cornbread! This recipe for Honey Cornbread Muffins is the result of a later-in-life discovery of how I was meant to enjoy cornbread forevermore. It has turned into the only cornbread muffin recipe my family wants to see on the table. I hope you like it, too! I remember well when I was testing this recipe in our kitchen. Tessa was just barely three years old, my cheery little helper. We washed the muffin tins many times and went through a good amount of corn meal. These muffins are some of the easiest you’ll ever make. I can whip these up and pull them out of the oven, in just 3o minutes of time. 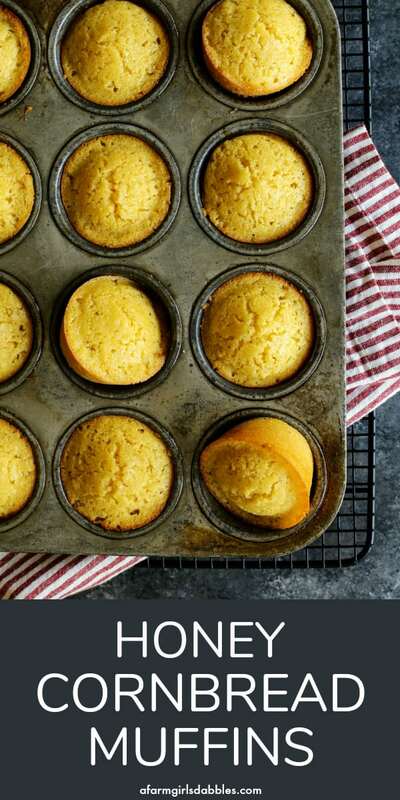 This cornbread muffin recipe incorporates equal parts all-purpose flour and yellow corn meal. 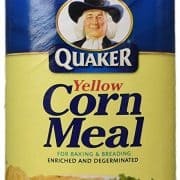 Because, even though I like the flavor and texture of corn meal a whole lot, too much can just be…too much. The muffins get their rich flavor and moist crumb from buttermilk and butter. If you haven’t liked cornbread in the past, because all you’ve had was dry and crumbly and bland…I beg you to give this cornbread recipe a try. This slightly sweetened version is sure to win you over. What to eat with cornbread muffins? 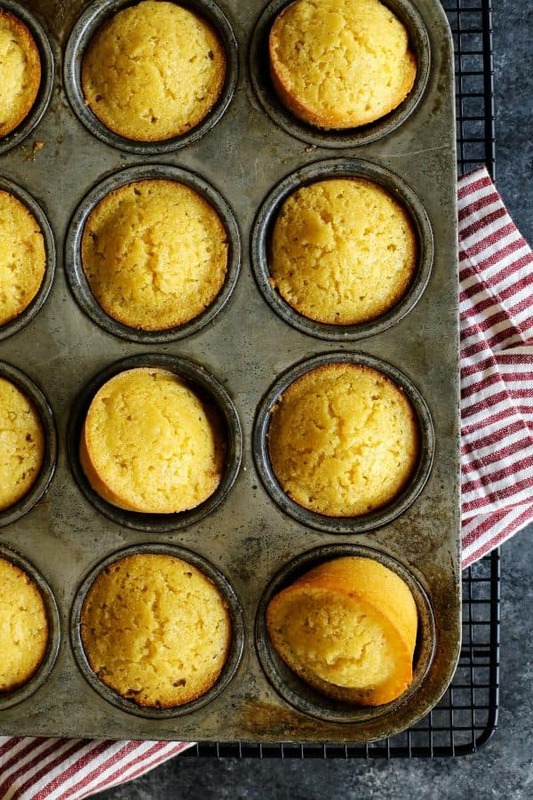 We make these cornbread muffins most often when there’s a pot of chili waiting for us. 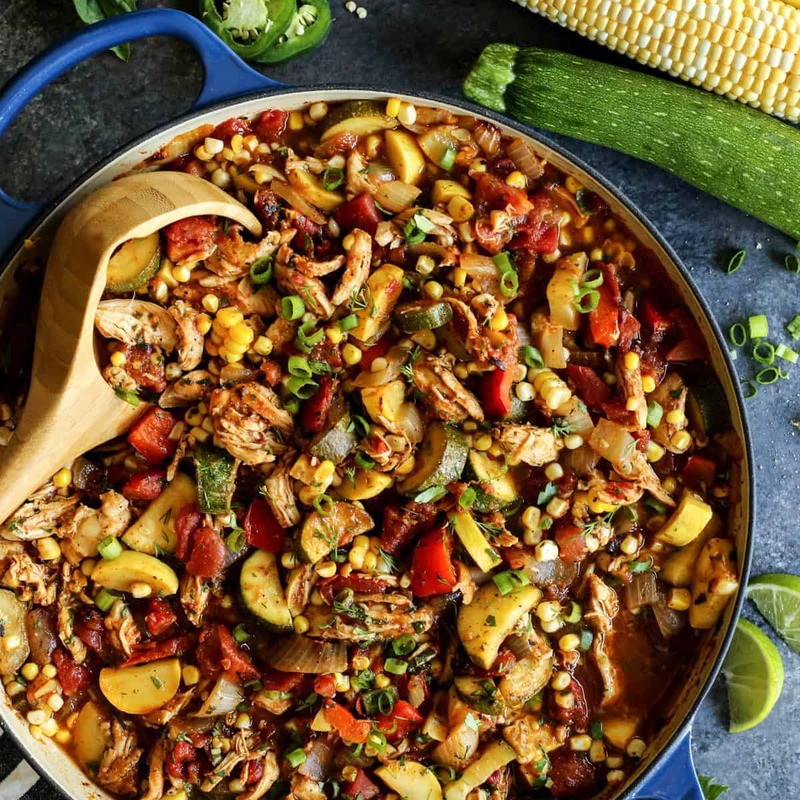 This summer chicken chili is wonderful, incorporating fresh zucchini, yellow squash, sweet corn, and herbs. 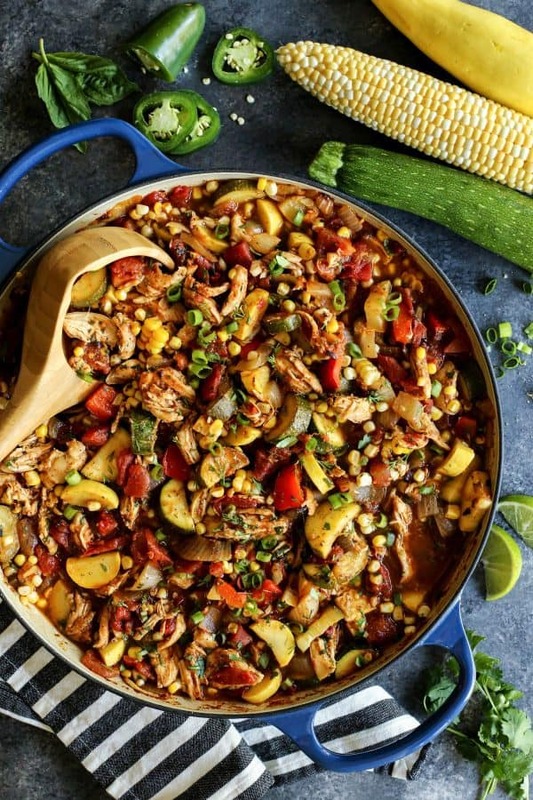 And this slow cooker chili has been a longtime family favorite. 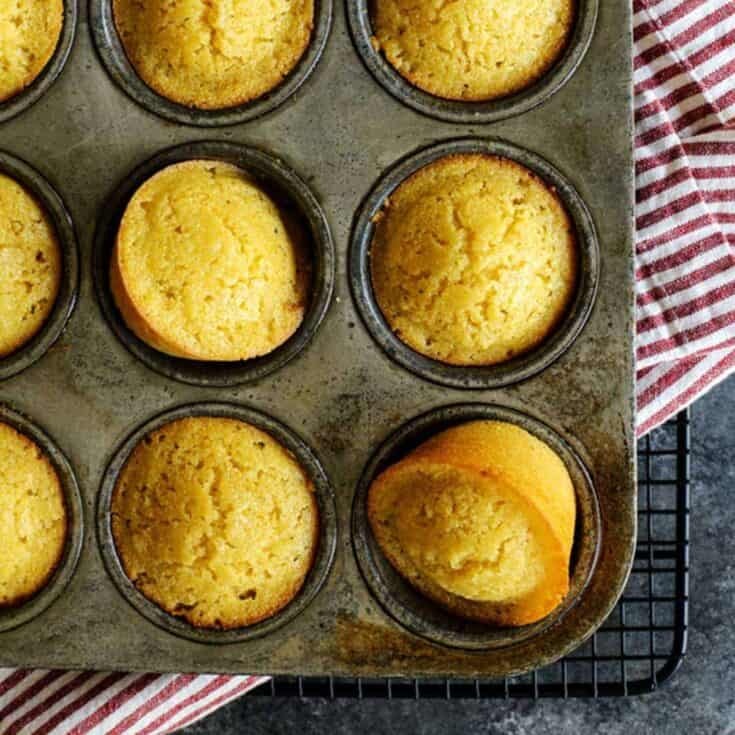 Cornbread muffins are also great companions to most anything coming off the grill. Think beer can chicken, chipotle orange salmon, or chili lime pork tenderloin. And anything slathered in barbecue sauce is a sure win. Try these country style barbecue pork ribs in an Instant Pot. This honey barbecue sausage meatloaf. Or this grilled barbecue chicken salad. And, hey! These muffins freeze well. I recommend making an extra batch to pull out as a quick side for a future meal. 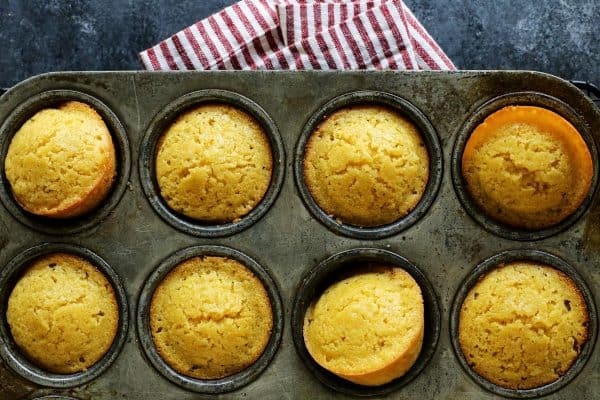 Like this cornbread muffin recipe? Pin it! This recipe is quick and easy. 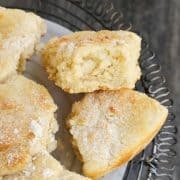 The cornbread muffins are slightly sweet, with a wonderfully moist cake-like crumb from buttermilk and butter in the batter. 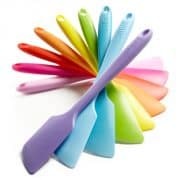 Preheat oven to 375° F. Spray a standard muffin pan lightly with cooking spray, or line your pan with paper liners. In a large bowl, mix the corn meal, flour, sugar, baking soda, and salt. In another bowl, whisk together the buttermilk, butter, eggs, and honey. Add the wet ingredients to the dry ingredients and stir until just mixed. Divide the cornbread mixture into your prepared pan. Bake for 15 minutes, or until golden. 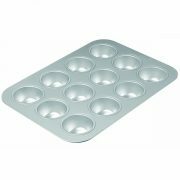 Remove pan from oven and let muffins rest in pan for 5 minutes before placing on a rack to cool. This post was previously published in 2010. Photographs and some of the text were updated in 2018. I have been making cornbread for 30 + years and today I wanted to find a sweeter, moister recipe to go with chili. I think I’ve found my keeper! I was sceptical at first when i saw baking soda instead of powder and the recipe was thinner than i usually get. No worries, they are great! Excellent recipe. Also made recipe with bacon drippings. I just made these to go with a Tx brisket chili I made. These are amazing!! They are the perfect balance with spicy food. How I love to hear this. Thanks for coming back to let me know! In my early years as a wife, I once made sweet cornbread for my elderly Southern uncle who immediately told me “this ain’t cornbread, cornbread ain’t sweet!” Talk about life changing! My parents were small town Southerners and as we moved to bigger cities, some of the culture was lost. I spent a very long time looking for the perfect unsweet recipe and finally found it at Birmingham’s Highland Restaurant and Grill. 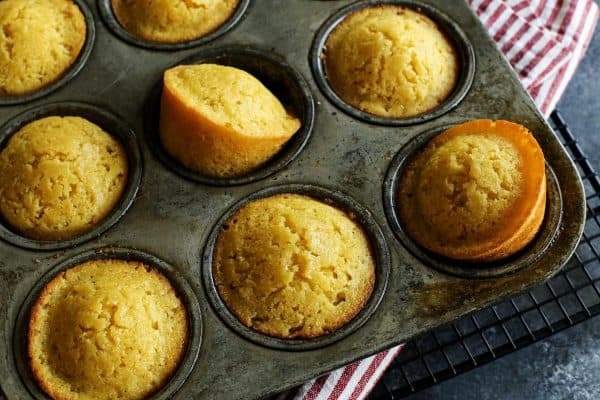 It is a perfect cornbread – best with a stone ground cornmeal. Give it a chance for those who prefer a savory fare. I will say the addition of butter and sorghum molasses makes a lovely touch for those who do need a bit of sweet. My mom used to crumble left over cold cornbread in a glass of milk for breakfast. A guilty pleasure for me now but I must revisist. 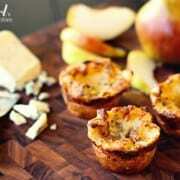 Here is a link to the recipe. Hello Marialice – thank you for your lovely comment. I’ve been told that a number of times, that “real” cornbread isn’t sweet. But this is really how I like it! I’d love to try the version you spoke of, though! These do sound like the perfect muffin! 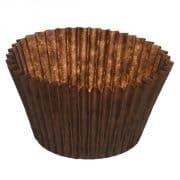 Kept looking for a pic showing the inside of the muffins? I would love to make these but just bought a pack of Martha White’s buttermilk cornbread mix. 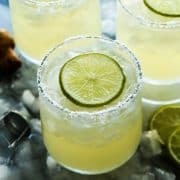 Would I be able to make this same recipe using this mix and just adding the sugar and honey, and the butter?? I’m not sure what to do! Thanks! These came out very moist and tasty! Wonderful to hear. Thanks, Rachel! I love cornbread but could not find a recipe that I liked – it needed to be moist and slightly sweet. Since trying your recipe I have no need to try other recipes….. This one is just perfect. The only thing I did differntly was to bake it in a cast iron pan. I’m so glad you liked this recipe. It’s one of my family’s favorites! I made these last night with the 6-Hour Slow Cooker Chili recipe also from your blog. First time making the cornbread muffins, usually just make the chili (It really IS the best chili recipe we’ve ever had). These muffins are delicious! They have the perfect texture, flavor, and sweetness to accompany any chili. My picky husband is 2 for 2 for liking recipes I make from your website. 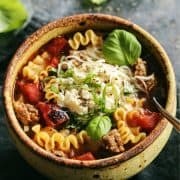 Thanks for these delicious recipes and I look forward to finding more tasty treats on here! That’s awesome to hear, Kendall. Thanks for letting me know. 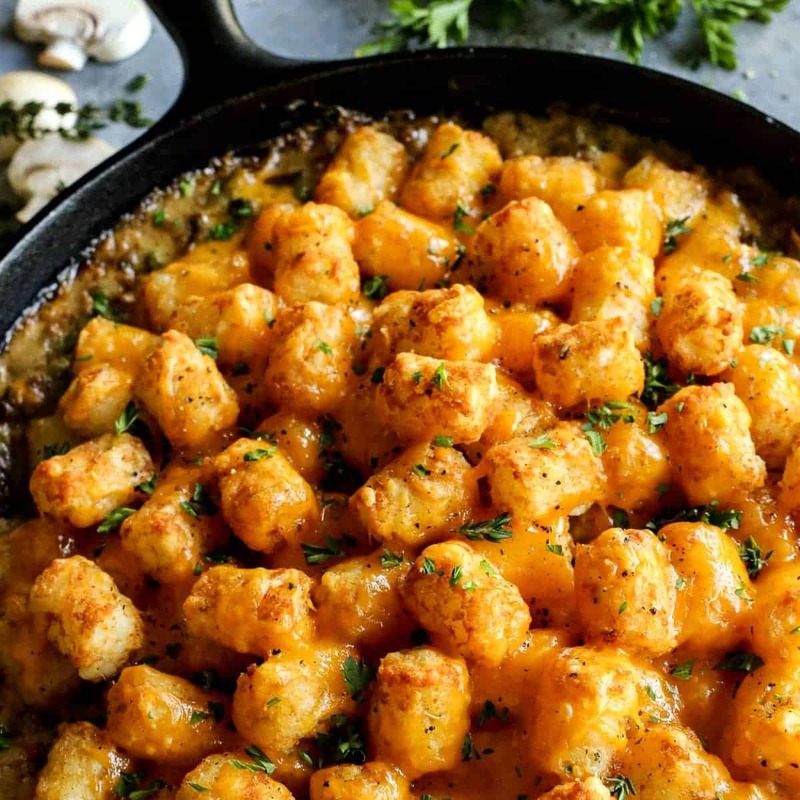 Those two recipes are some of our favorites! Happy New Year! I must say, I made these muffins and they truely are the VERY BEST I’ve ever made or eaten for that matter, Farmgirl THANK YOU for an absolute KEEPER!!!!! Good to know! ;) So glad you liked them, and that my recipe is being used for so much good!! 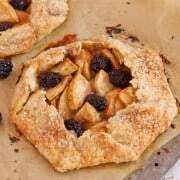 I stumbled upon this last night via a recipe of yours on tasty kitchen.com. Made them tonight and Im happy to say I have finally found a homemade cornbread/muffin recipe that is perfectly moist, sweet but not too sweet and delicious. 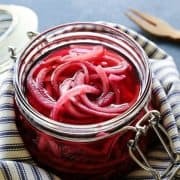 Thanks so much for sharing, this will be my go-to recipe from now on! Made your honey corn muffins tonight. YUM!!! I could eat them all!! Glad you liked them, too, Sarah! Wish I could have been there with everyone! 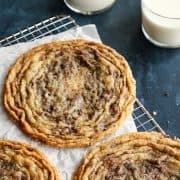 I haven’t had the chance to bake these myself, but Patsy baked them at the lake and I was happy to sample them when she offered one to me. Yummy! Glad you perfected the recipe.